In this talk I will touch upon two threads in my research on simulation methodology. The first, foundational, topic concerns the long-run stability of discrete-event stochastic systems (DESS). The generalized semi-Markov process (GSMP) is the usual mathematical model for DESS, and can capture a broad variety of complex real-world systems characterized by uncertainty. For example, the number-in-queue process for a network of queues can be represented as a GSMP. The stability of a GSMP is interesting in not only in its own right, but also because it is a necessary condition for the validity of steady-state simulation output analysis methods such at the regenerative method, spectral methods, and standardized-time-series methods. I show that if some of the “clock setting distributions” that determine event-occurrence times have heavy-tailed distributions, then a GSMP can be unstable in that it can have transient states, even if the state space is finite and the GSMP is irreducible. This is in sharp contrast to classical results for Markov and semi-Markov processes, and illustrates the richness of the GSMP model class. The second topic stems from my work at IBM on the Splash framework for composing existing, heterogeneous simulation models to facilitate cross-disciplinary collaborative modeling and simulation. Composite models can be extremely expensive to execute, and so we describe preliminary results for a result-caching technique that can speed up execution of stochastic composite models by orders of magnitude. Peter Haas recently joined the UMass College of Information and Computer Sciences after a 30 year career at IBM Research, where he worked at the interface of information management, data exploration and analytics, applied probability, statistics, and computer simulation. For the past 19 years, he has also been a Consulting Professor in the Department of Management Science and Engineering at Stanford University. He was designated an IBM Master Inventor in 2012, and his ideas have been incorporated into products including IBM's DB2 database system. He is a Fellow of both ACM and INFORMS, and has received a number of awards from IBM and both the Simulation and Computer Science communities, including an ACM SIGMOD 10-year Best Paper award, for his work on sampling-based exploration of massive datasets, and an Outstanding Publication Award from the INFORMS Simulation Society for his monograph on stochastic Petri nets. 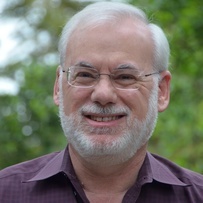 He serves on the editorial boards of ACM Transactions on Database Systems, Operations Research, and ACM Transactions on Modeling and Computer Simulation, and was an Associate Editor for the VLDB Journal from 2007 to 2013. He is the author of over 125 conference publications, journal articles, and books.